The Pacific Reef Community on Level 1 at the Aquarium is nothing if not a bouquet of vibrant colors, patterns and movement. Recently, the exhibit got even more colorful! 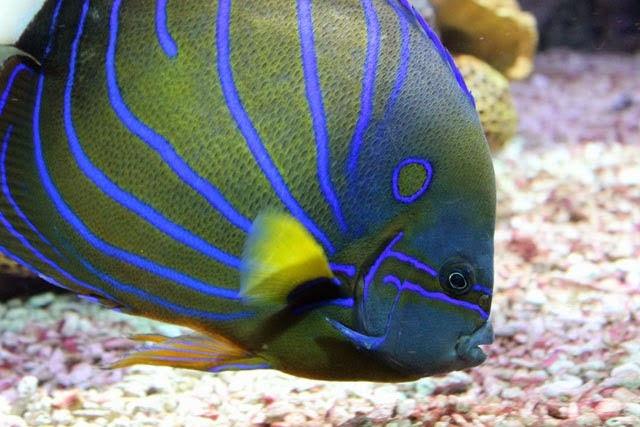 A blue ring angelfish (Pomacanthus annularis) and a harlequin tuskfish (Choerodon fasciatus) joined the community this week. Here's a taste of the bustling reef life inside the Pacific Reef Community exhibit. 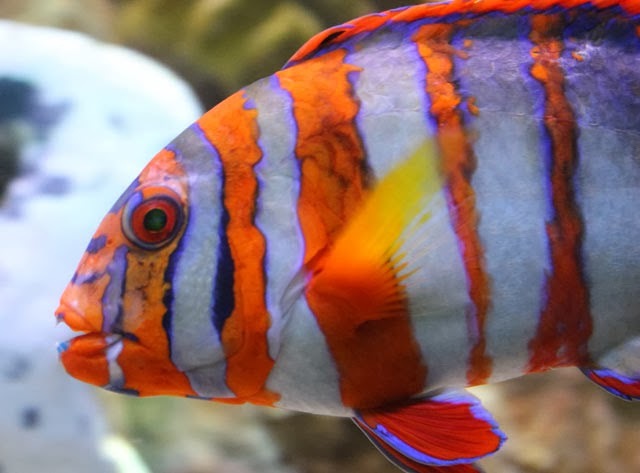 So if the long winter nights and gray days get you down, pop over to see the sunny colors here at the New England Aquarium! Buy tickets online.